AYSO runs on volunteer power. There are 220,000 volunteers around the country making sure everyone plays! AYSO volunteers are mostly parents of current players, but also siblings, grandparents, parents of former players, neighbors and even active players themselves. AYSO volunteers give each child the precious gift of their time. AYSO is a family experience. As an AYSO volunteer, a parent gets to participate with their child and teach the values of giving back to the community. Sometimes it's the whole family with parents, siblings and grandparents all getting in on the act. Coaching and refereeing may be the most visible volunteer roles, but there are many ways to help a team or Region. Many volunteer roles require small amounts of time, but are very valuable to the kids. 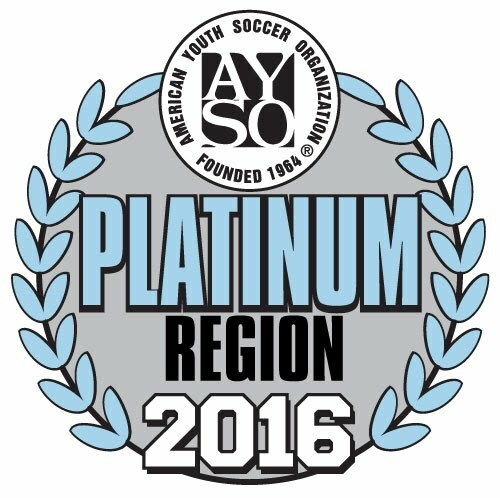 There is an AYSO volunteer opportunity for everyone. Find out how you can help. Referees and coaches in AYSO are volunteers. They give their time and talents freely to ensure that every player has a fun, fair and safe AYSO experience. AYSO coaches and referees frequently have their own children in the program. But because it can be such an enjoyable and rewarding experience, it’s also common for these volunteers to continue long after their own children have moved on from AYSO. To begin as an AYSO coach or referee, you must first complete an AYSO volunteer application form. You will then complete the Safe Haven and age appropriate training (free of charge). For coaches, we provide coach instructors and mentors. We provide coaches a practice plan for entire season that includes videos of drills to be taught at practices. Our Master Coaches are available to answer questions and help with practices. No prior soccer experience is needed. We will train you. For Referees, we have an excellent referee training program with mentors that will work with new referees until they are comfortable to be on their own. You don't need to have prior soccer experience to referee.